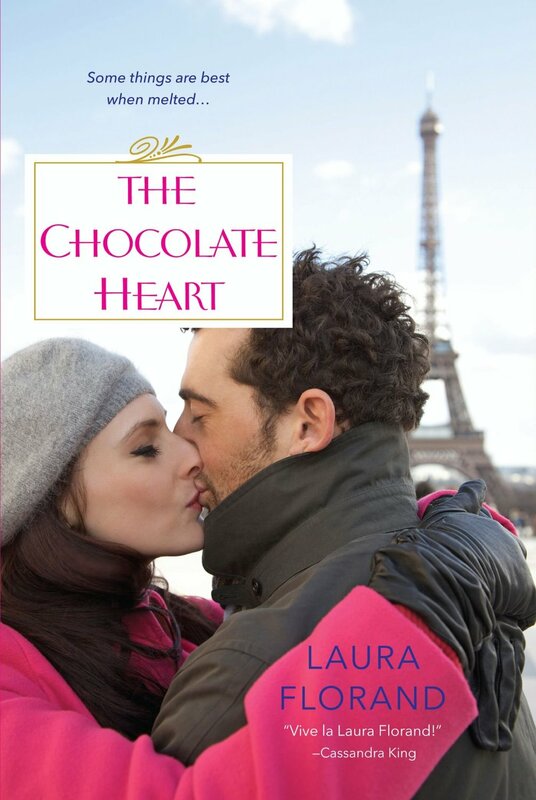 Laura Florand is one of my favorite romance authors and I’ve been a fan of her books ever since I discovered them in 2013. Her La vie en Roses series features the fictional Rosiers, one of the most prominent families in the perfume industry. I was charmed by the Christmas novella A Rose in Winter and was delighted by the first full-length novel, Once Upon a Rose. 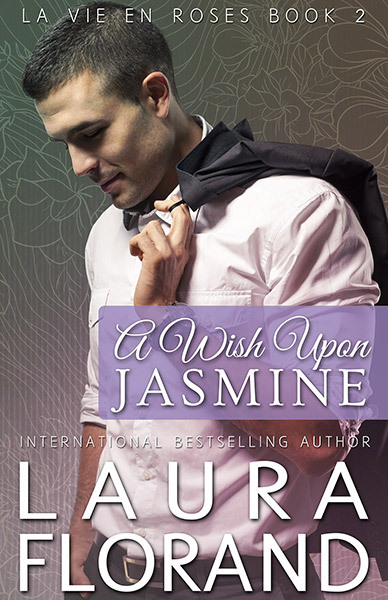 I was thrilled when I found out that the second book, A Wish Upon Jasmine, will also be released this year! I’m seriously amazed at how prolific a writer Laura Florand is. I didn’t think we’d get another book in the series until next year, and I thought it would be about Tristan. Looks like Damien shouldered his way in and stole the limelight. As much as I loved Laura Florand’s Amour et Florand series, I think I’m starting to love her Provence series just a little bit more. The South of France setting is such a delight to read. I also love the dynamics of the Rosier family, and how difficult it is to grow up with highly competitive and assertive cousins. I think the Rosier men coped by finding a role for themselves within the family structure, and then deciding to stick with those roles. They do their damnedest to live up to what they believe is expected of them. It’s not that they don’t love the roles that they play, it’s just that each role comes with its own set of problems. In Damien’s case, he’s the one who grants people’s wishes. He’s the business guy, in charge of making money for the company so the rest of the family can pursue their dreams. So his cousin Matt can run the Rosier valley, so Tristan can make perfumes, and Raoul and Lucien can travel the world. In order to work in the business world, Damien had to toughen up and be ruthless. But anyone who has such deep roots and family values can never be truly heartless. No one outside his family really sees his vulnerable side, but he lets his guard down the night he and Jess meet. “It would have been like believing in magic, to believe in you,” she said suddenly. Six months after Damien and Jess spend the night together, they find themselves in Grasse, in a historical perfume shop that has been in Damien’s family for generations and was, surprisingly, inherited by Jess. Can I just say that I love how the Rosier boys’ great aunt Colette meddles in their affairs? I really think she’s pretending to have a less than friendly relationship with the Rosier patriarch but they’re secretly working together to get the guys to settle down. Matchmaking grandparents! Damien is supposed to get the perfume shop back for the family and he also aims to work things out with Jess. As expected, there’s a lot of tension between these two especially since their attraction for each other has been well-established by their one night together. Both of them are flawed characters and it takes a while for them to truly understand the other person but I think it was a beautiful journey. They kept butting heads but I wasn’t worried because I knew they never really mean to hurt the other person. I loved Damien’s character, how he layers a protective shell over his vulnerability in order to accomplish the things that he has to do for the family. I really liked that Jess is a perfumer because this series is about the perfume industry. I’m glad that we got to see her point of view, ahead of what Tristan’s will be. I could also relate to Jess and her insecurities and doubts, how it’s so difficult for her to accept the possibility of a relationship with Damien because she thinks he’s way out of her league. It highlights how loving and believing in someone takes an enormous leap of faith and a whole lot of trust. Not just that, but also that she had to believe in herself first before she can even be ready to believe in someone else. Jess was the kind of character I wanted to hug and say, “everything will be all right.” So it’s really a good thing that Damien is more than willing to do that, and that he’s backed by a chaotic and wonderful family. I’ve noticed that these Rosier men tend to find women who don’t have big and supportive families like they do, and it’s just lovely to see how they react to being welcomed into the fold. I was also tickled by the fairy tale theme than ran throughout the story, it was so much fun to pick up the references that peppered the story. A Wish Upon Jasmine is a beautiful read that stayed with me days, even weeks, after I finished reading it. It has a more bittersweet feel to it compared to Once Upon a Rose, which was kind of cute and cuddly, but I enjoyed it just as much. I’m itching to reread Matt and Raoul’s stories now. As always, I can’t wait for the next book. Instagram shot of my copies: Once Upon a Rose and A Wish Upon Jasmine. I remember contemplating on whether to re-read Once Upon A Rose before starting this book. But then, I could no longer hold myself and just dived into Damien’s story. And yes, this definitely had a more bittersweet feel to it and I completely adore it. I might consider rereading Once Upon a Rose and A Wish Upon Jasmine close to the release date of the next book. 🙂 I’m pretty sure I’ll be reading A Rose in Winter this Christmas. So far all the Rosier stories have a different feel but they have all been lovely!